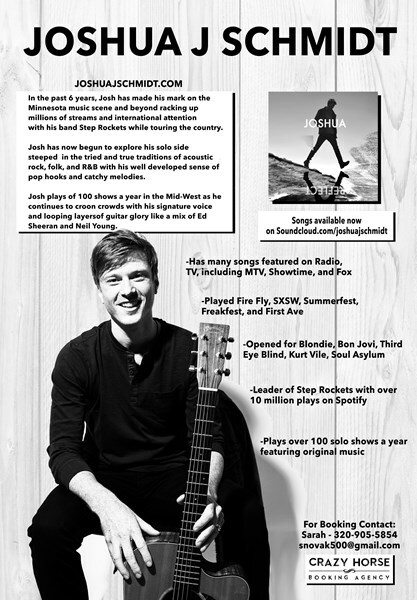 Hailing from the small town of Lutsen, MN, Joshua J Schmidt is a nationally acclaimed singer/songwriter who has earned over 10 million streams as the leader of his band Step Rockets. He has toured the country and opened for the likes of Kurt Vile, Soul Asylum, Third Eye Blind, K. Flay, Bon Jovi, and Blondie. His original songs are currently being feature on network television and commercials on MTV, Fox, and Showtime to name a few. As a well known member of the Twin Cities music scene, Josh plays 120+ acoustic solo shows a year entertaining a wide variety of audiences. 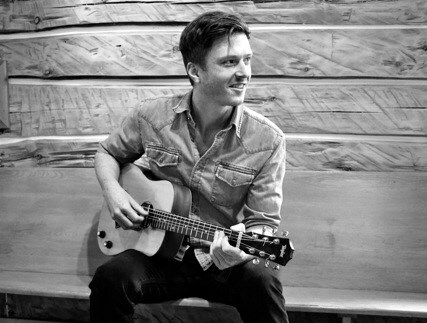 His acoustic sets are perfect for wedding ceremonies, private parties, and corporate events. He masterfully provides 2-4 hour sets of music and can scale up to a 4 piece band for a bigger, flashier production that is great for a full-on wedding band and dance party. Always punctual and dressed for the occasion, Josh and his bandmates bring a positive and exhillirating energy to any party. 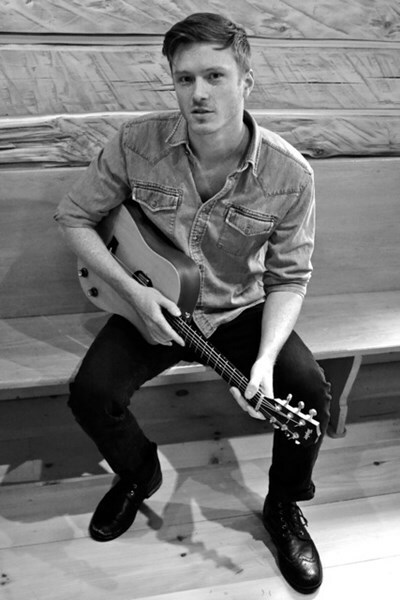 Known as the "song-man" amongst his musician friends, Josh draws from a wide variety of inspirations and genres and can quickly adapt his material to any occasion. To get a tailored and memorable experience, Josh is willing to take requests in advance and even learn a few new songs to make your perfect set-list. Please don't hesitate to reach out to talk more about how we can customize your musical experience. Please note Joshua J Schmidt will also travel to Arden Hills, Minneapolis, Circle Pines, Champlin, Hugo, Plymouth, Willernie, Maple Grove, Mendota, Osseo, Anoka, Mendota Heights, Hopkins, Lake Elmo, South Saint Paul, Dayton, Inver Grove Heights, Newport, Bloomington, Forest Lake, Minnetonka, Minnetonka Beach, Orono, Stillwater, Wayzata, Cedar, Eden Prairie, Hamel, Wyoming, Crystal Bay.